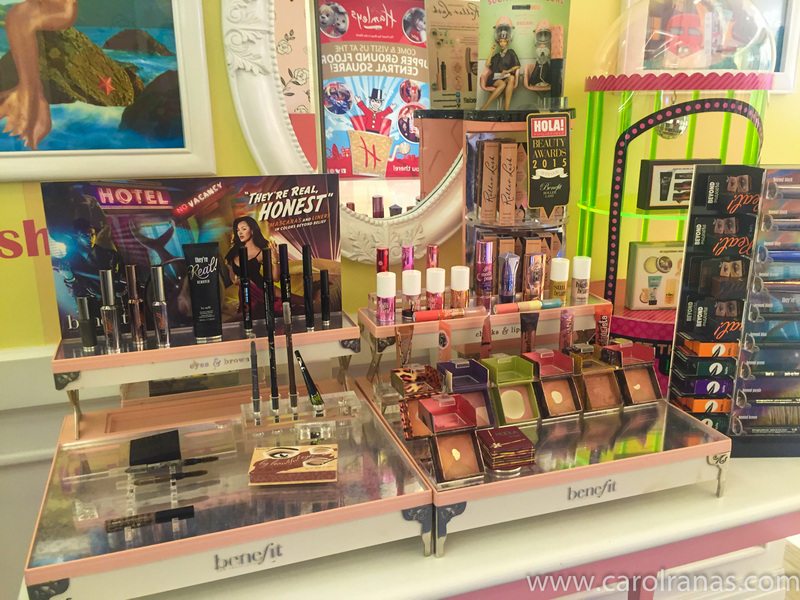 The good ladies from Benefit taught us all they know about brows. Browgraphy is a way to map your brows so it'll be easier to groom and shape the way you feel like it. It includes the proper length of your brows, color matching and it involves a lot of practice. 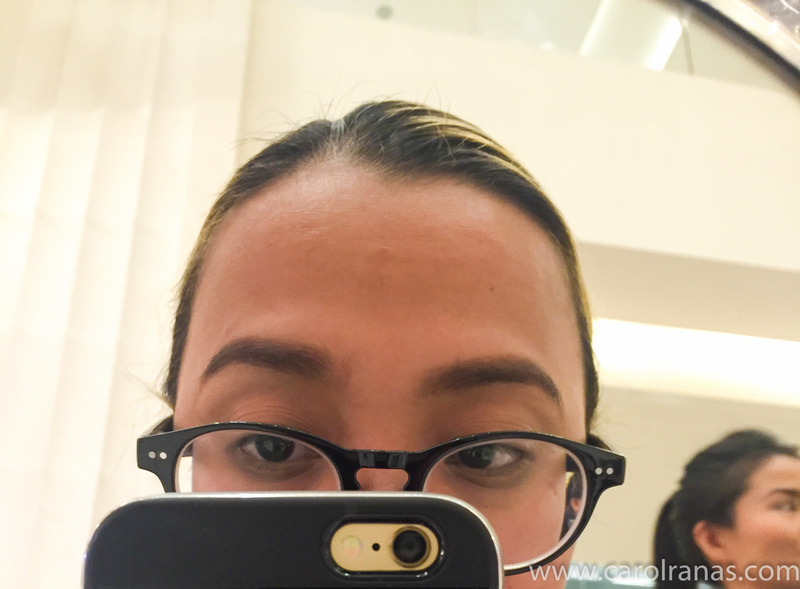 My brows are way lot darker and unruly and it was hard to look for a shade that'll match my blonde hair. 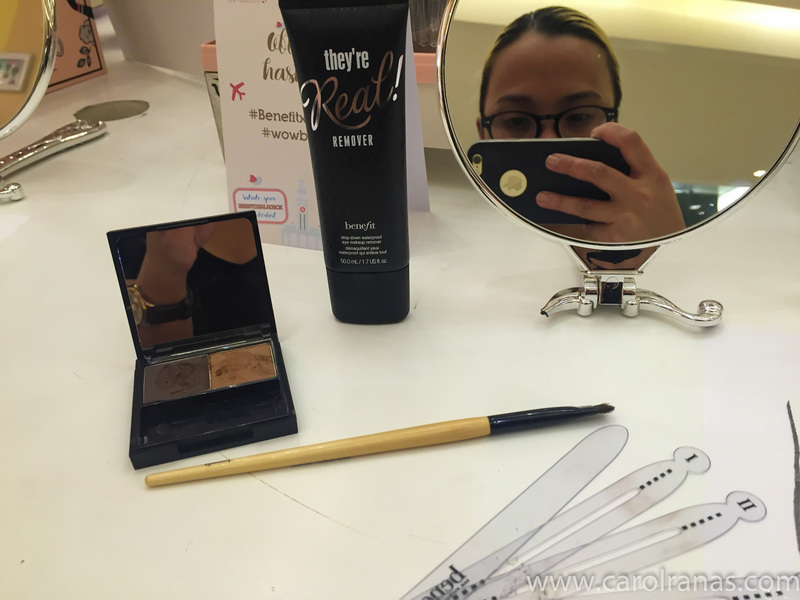 For long, I have relied on makeup specialist from beauty counters to shape and groom my brows. But now, I've been constantly trying to teach myself to properly groom my brows. 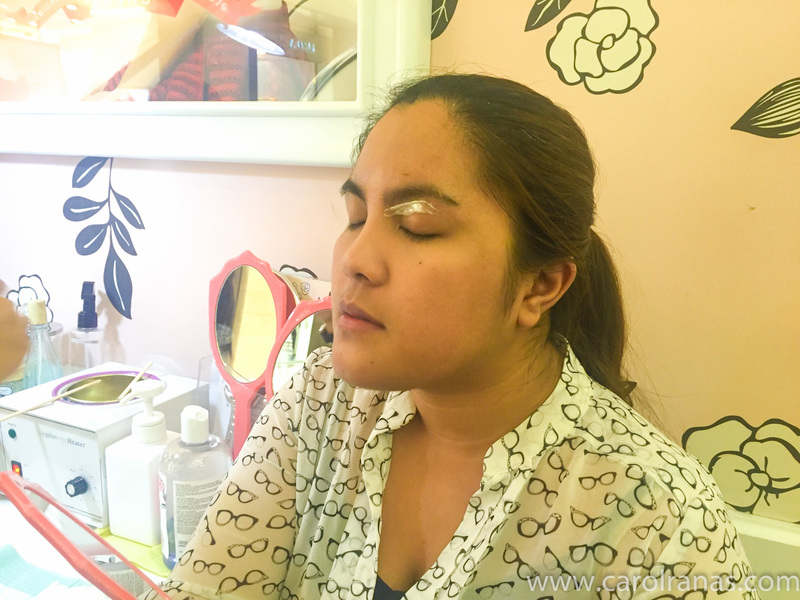 During the workshop, we were taught the basic steps to achieve that ever elusive #EyebrowsonFleek. First, we were taught to locate the three points that'll serve as a guide for the overall brow shape. The three points are: The starting point, which is in line with the tearducts of one's eye and the sides of the nose, the arch, which is in line with the sides of the nose as well as the eye's pupil, and lastly the tail, which inline with the end of your nostrils and eye. After the workshop, I regret having overplucked the tail of my eyebrows. I overplucked it simply because it was easier to just draw the tail perfectly rather than taming unruly brows. Boy, I was so wrong. 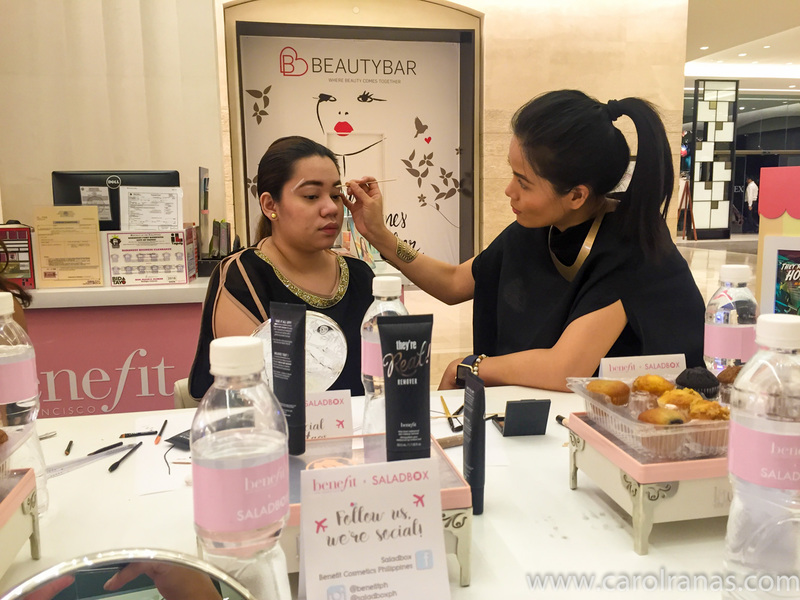 After the workshop, we were free to try the different Benefit products on their counter. 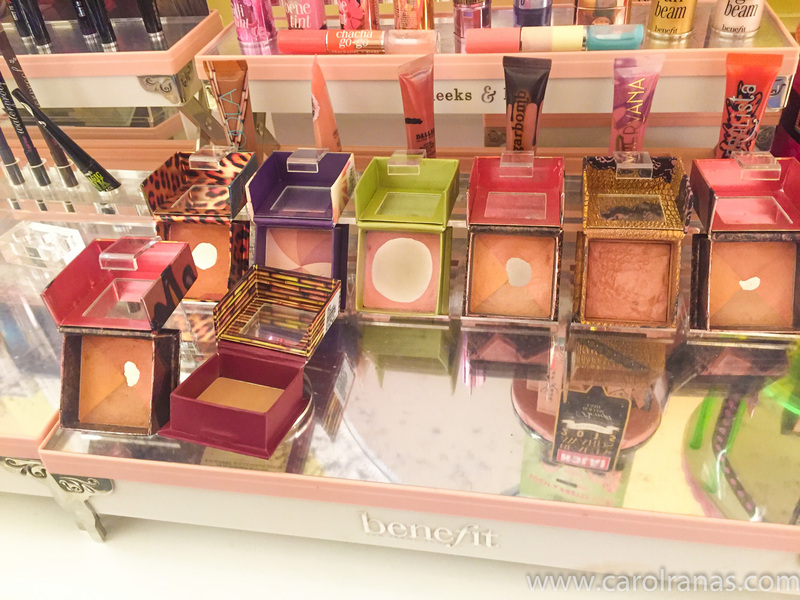 Benefit is one of the beauty brands I love. 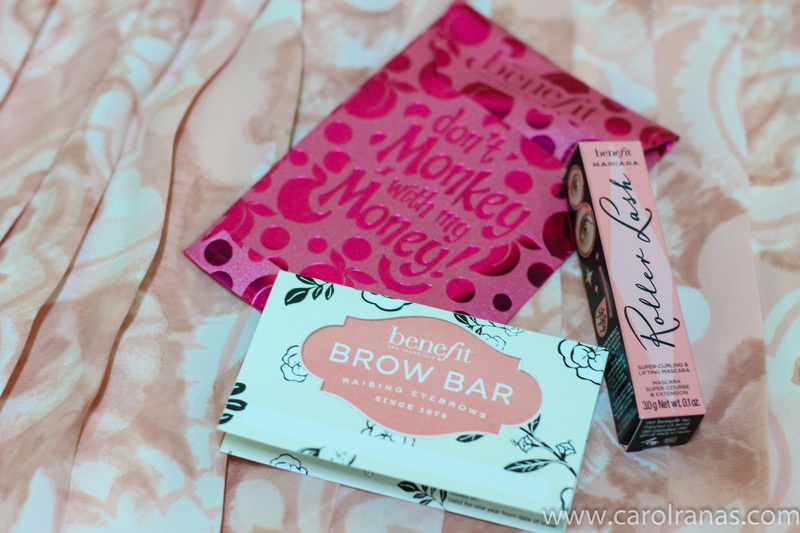 My first Benefit product was the Glowla Kit and the Georgia blush. 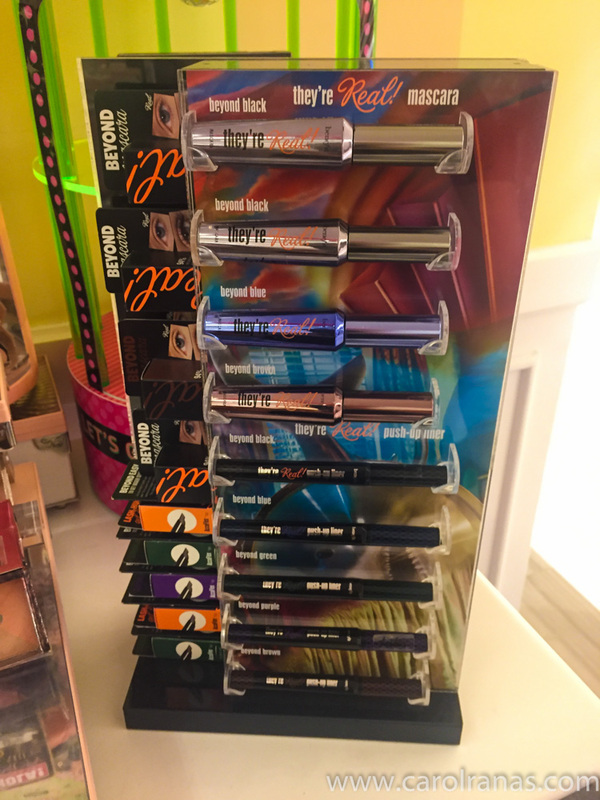 Aside from their pretty adorable packaging, the product itself is quite pigmented and real good.  I was looking around and browsing through their different products. I was immediately drawn to their boxed sets and blushes. They were amazeballs! 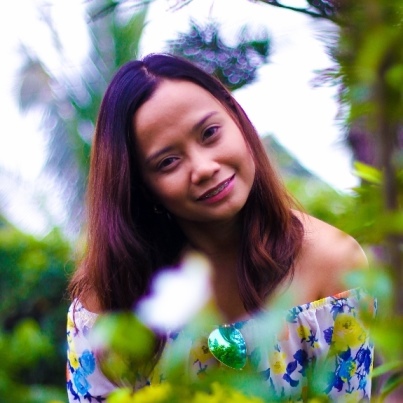 After the workshop, We were asked if we wanted our brows waxed and shaped right then, but my brows was recently groomed during the bridal fair, so I was advised to let it grow for a few weeks before having my brows waxed. I learned a lot from the workshop. I may not achieve the prefect eyebrows yet, but with practice, I'm sure I'll achieve that #EyebrowsonFleek look. Pictured above are the items we took home after the Browgraphy workshop. Thank you Saladbox and Benefit Philippines for the invite, I sure learned a lot! 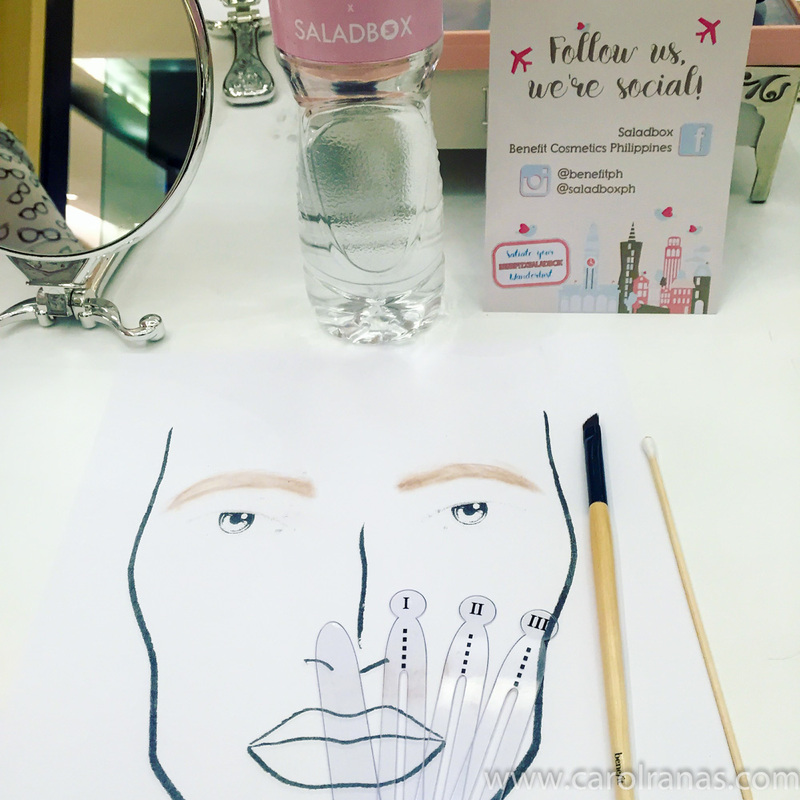 Saladbox and Benefit is having another round of beauty workshops. If you want to participate, see the flyer above for more details. 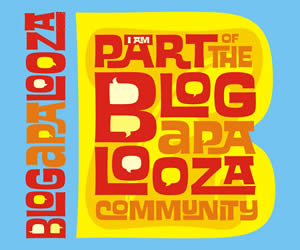 It'll surely be fun! How do you get your #BrowsonFleek? Share your tips below!